When the host of a popular radio talk show is murdered, the suspects almost outnumber his millions of listeners. Outspoken radio talk show host Jim Fate dies tragically when poisonous gas fills the studio while his polarizing show, -The Hand of Fate, - is on air. The triple threat of FBI Special Agent Nicole Hedges, crime reporter Cassidy Shaw, and Federal Prosecutor Allison Pierce must piece together the madness, motive, and mystery of what just happened. And this time, it's personal since one of the women was secretly dating the host and has access to his home . . . as well as possible evidence. 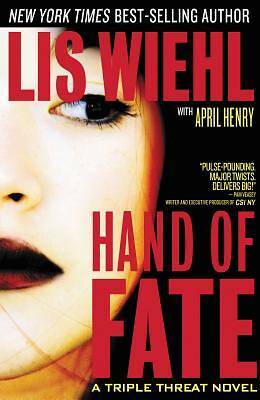 In the days following Fate's murder, these three friends confront a betrayal within the team while unearthing the not-so-public life of Jim Fate. Together, they must uncover the stunning truths behind this cold-blooded murder.